NB : 104 IIT-P students scored over 150 marks in MHT-CET 2016 which is the highest in Pune. Hardly, 100 students from Pune scored above 150 marks in MHT-CET in 2013 of which 26 were from IIT-P alone ! These are perhaps the best results in MHT-CET from Pune in 2013 ! 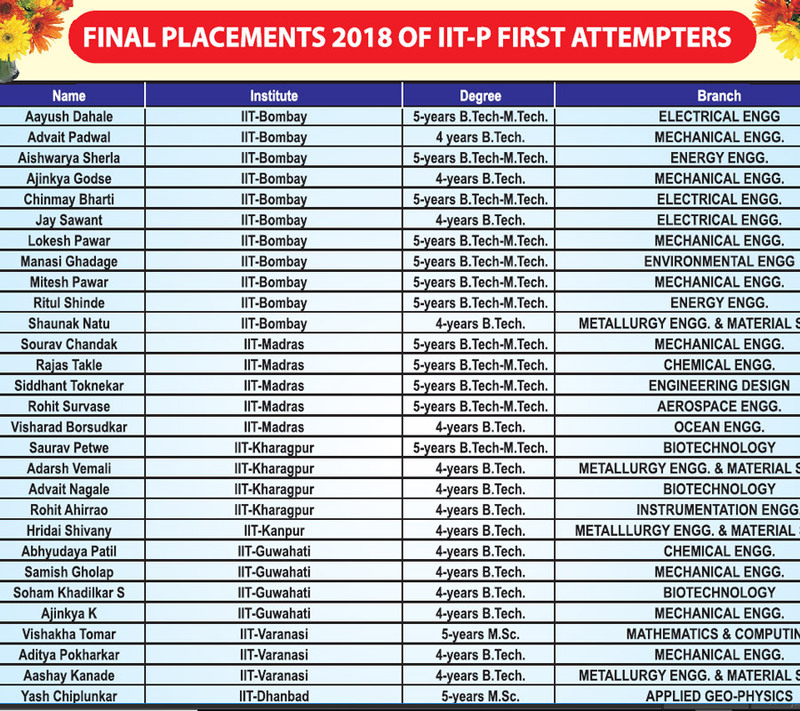 NB A record number of 51 IIT-P students scored over 150 marks : Highest in Pune for 3 consecutive years ! Yash Mehta stood 2nd in Pune in MHT-CET 2012 : All students claimed are from 2-years classroom coaching only ! The unmatched MHT-CET Results prove the fact that IIT-JEE studies makes MHT-CET studies very easy !